Environmental tobacco smoke (ETS) also called “secondhand smoke,” a major indoor air pollutant, contains about 4,000 chemicals, including 200 known poisons, such as formaldehyde and carbon monoxide, as well as 43 carcinogens. ETS causes an estimated 3,000 lung cancer deaths and 35,000 to 60,000 heart disease deaths in non-smokers, as well as 150,000 to 300,000 cases of lower respiratory tract infections in children under 18 months of age each year. Indoor air pollution is a disease of modern architecture. Soaring energy costs, increased conservation efforts and new construction technologies have each contributed to why and how we seal outside air out and inside air in, with deadly precision. Most homes are 4 to 5 times more polluted than the air outside, even in areas where factories are all around. 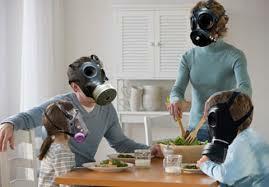 Accord ing to the EPA, indoor air pollution is considered one of America’s #1 environmental health concerns. When it comes to the air that we breathe, we would be safer in the wilderness. There is a simple way to cleanse the air in your home. 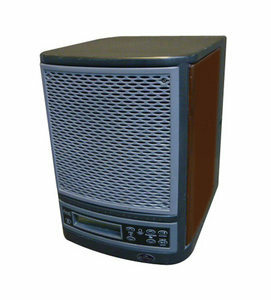 Living air is as easy to operate as a toaster. It was built by engineers, not artists, so it’s pretty plain to look at. It was built to work, to cleanse the air in your home year after trouble-free year . Living air uses technology as old as the earth itself to cleanse the air in your home naturally. Every time the sun comes up, every time lightning strikes across the sky, it cleanses the air outside. Living air duplicates that process, “harnesses it” so to speak and brings that cleansing action to your home. Living air has been scientifically proven to eliminate odors, smoke and even secondhand tobacco smoke. It literally knocks all the pollutants out of the air giving you and your family a safe environment or safe zone to live in. Ask us about Living Air TODAY! This entry was posted in Knowledge Base and tagged Breathing, congested, Dr. keefe, energy, life, Natural Healthcare, pain, Sleep, tulsa chiropractor by DocJohn. Bookmark the permalink.